Location, location, location! 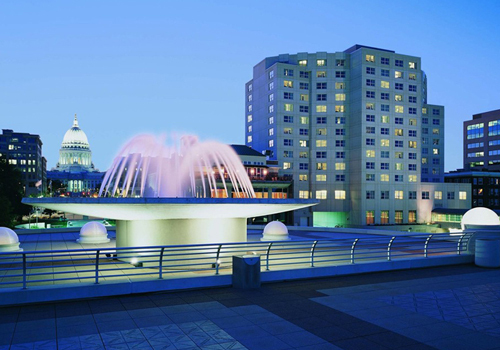 Hilton Madison Monona Terrace is within walking distance to the Capital, minutes from UW-Madison and connected via an enclosed skywalk to Monona Terrace Community & Convention Center. Furthermore, there’s no better access point for rooftop concerts, lakeside cultural events, and art. Want a delicious meal? 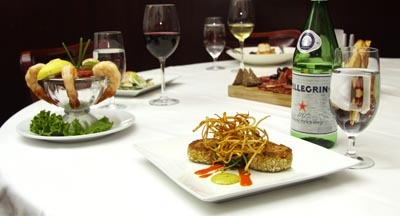 Just visit the first floor and try Capital Chophouse, a see and be-seen eatery that specializes in steaks and seafood. 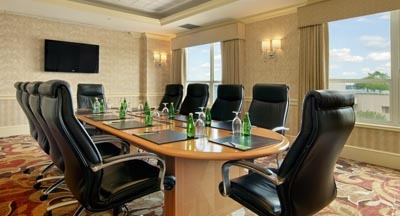 From intimate board meetings to productive seminars, Hilton Madison Monona Terrace offers just the space you need. 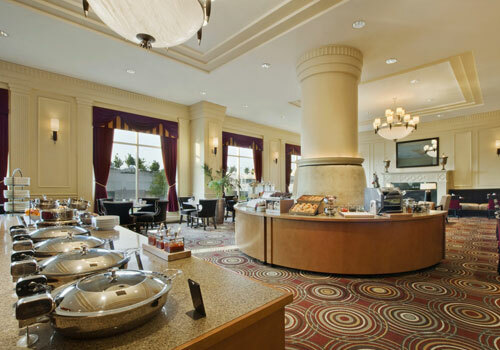 Take advantage of complimentary airport transportation from Dane County Regional airport and underground parking at the hotel. 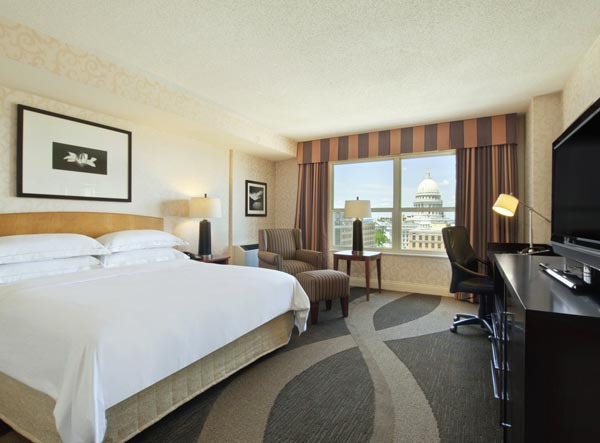 The Carbone Ribbon Room supports the University of Wisconsin Carbone Cancer Center (UWCCC) with a $25 donation each night the room is reserved. The UWCCC is involved in groundbreaking clinical trials and research studies to prevent, diagnose and treat cancer.